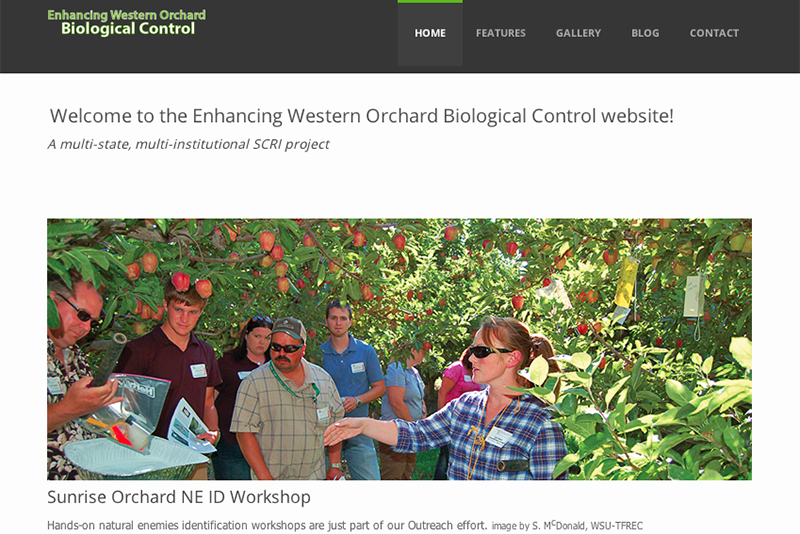 Welcome to the Enhancing Western Orchard Biological Control Website! Enhancing Western Orchard Biological Control (EWOBC) is a collaborative SCRI project between Washington State University (lead institution), USDA-ARS, Oregon State University, and the University of California at Berkeley. The team is focused on ways to improve the stability of IPM programs in apple, pear and walnut orchards, by enhancing biological control. Our team includes six entomologists, an insect geneticist, an economist, an extension specialist and a sociologist. For more information click on About Us or click on Our Team to learn about those involved with this project. Our research objectives are multi-pronged: discover the unintended lethal and sub-lethal effects of commonly used pesticides on orchard natural enemies; characterize the phenology of key natural enemies; evaluate HIPVs as a method for monitoring the presence of natural enemies and compare their efficacy to tradition methods; and develop a method to analyze the gut content of predators to confirm predation of codling moth. For more information about the project objectives click on Objectives or check out our reports and articles list under Features in the menu. We are working to identify optimal ways for presenting information that will lead to quicker adoption of new technologies and synthesize existing and new information to provide real-time support for pest control decisions by growers and pest managers aimed at enhancing biological management and a more stable orchard environment. One of our most successful educational events was a BC short course. If you missed it, don't worry. You can still watch many of the presentations and download the course material. Also, smaller targeted events are ongoing, so check our events page. Check out our CA walnut and OR/WA pear grower surveys to see the degree of implementation for biocontrol in IPM. Check out our newest video showcasing a few common orchard natural enemies. And while you're at it, take a look at other videos ranging from Dr. Jones providing his "Viewpoint" on the future of orchard IPM, interviews with managers and consultants discussing their successes and challenges working with natural enemies and how-to's on research methods. New videos added frequenlty. 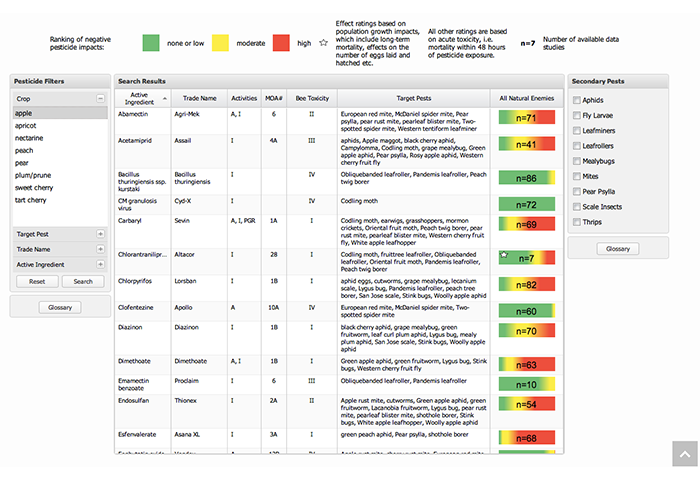 OPENED, which stands for Orchard Pesticide Effects on Natural Enemies Database, is our new interactive database. 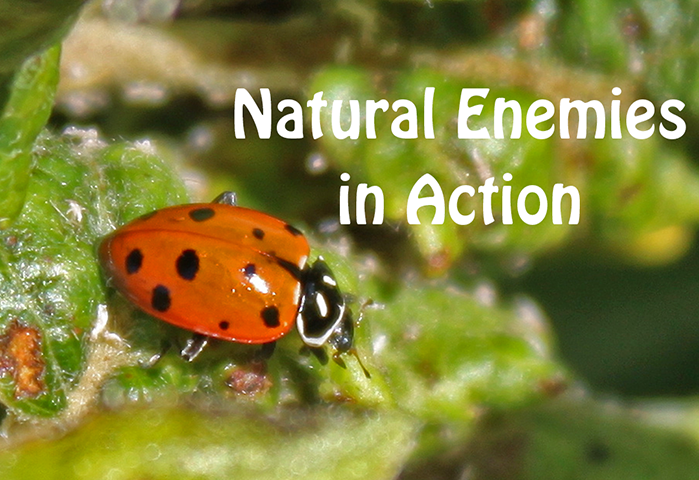 It allows you to look up the effects of various pesticides on natural enemies. Pesticide effects can be searched by chemical or by crop and target pest. And soon the database will be incorporated into WSU-DAS. Give it a try! Check out out our natual enemies image galleries. We are in the process of updating and adding new images to all of the galleries. 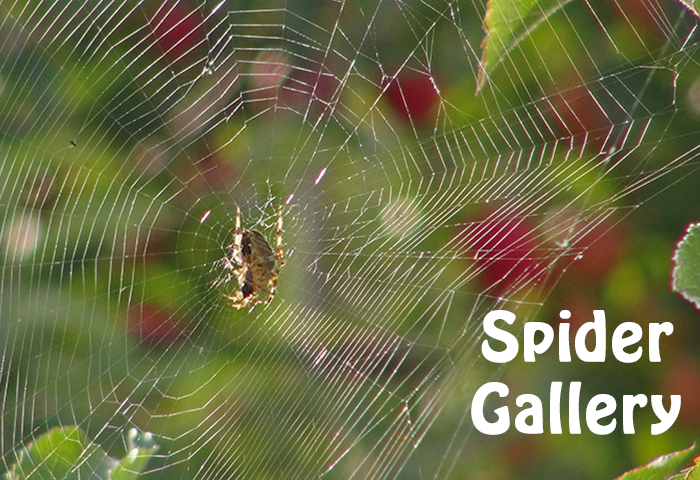 The most recent is the Spider Gallery. Links to all the galleries are located under "Galleries" at the top of the page. Check out our newly redesigned website. The new layout is fully responsive allowing it to adjust to most standard web viewing devices and browsers. Sub-lethal effects of pesticides can have many subtle effects on insects. 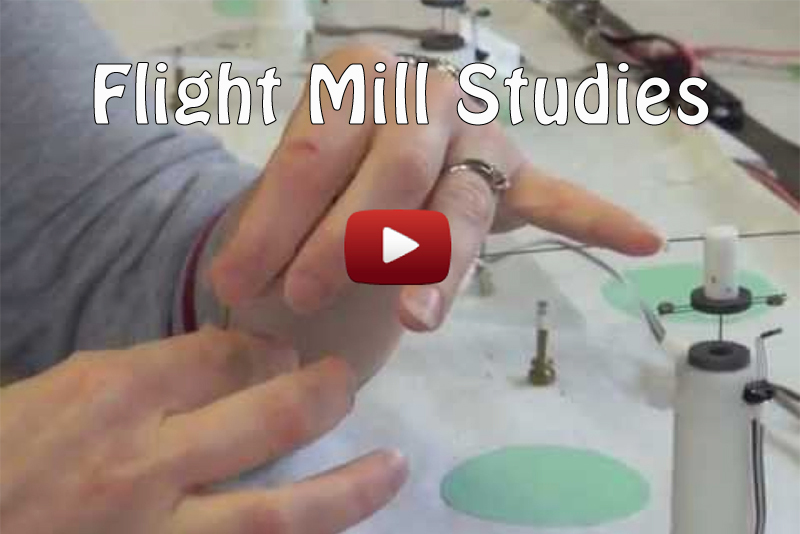 Use of a flight mill can determine how flight behaviors are effected, such as distance, speed and periodicity of flights. "There's not a pest control decision I make that doesn't involve biological control." "Stupidity and bad management practices lead to a lot of secondary pest flare-ups." "The most challenging thing for my conventional growers is the knowledge that [BC] can work." "The advantages are that you can spend less money and still grow a clean crop [when BC & NEs] are effective and successfull." "Its a fine line you walk, ... to not just go out and spray, but give the benificials the chance to build to the right level to have control."